*Disclaimer: I received this wine as a sample from the PR folks for Bargrationi Wines. We’re nearing the end of 2010 in case you hadn’t noticed. Almost hard for me to believe. It seems years go by faster as you get older. At least for me it does. You might recall that one of my goals this year (wine-related anyway) was to drink more sparkling wine. I wanted to open sparkling wine just for the heck of it, on a Tuesday night. Most people I know save bubbles for a special occasion, but there’s really no reason for that. Sparkling wines are extremely versatile food-wise (I’ve yet to find something that doesn’t go well, from French Fries to Oysters) and being generally lower in alcohol content are a great mid-week wine choice. 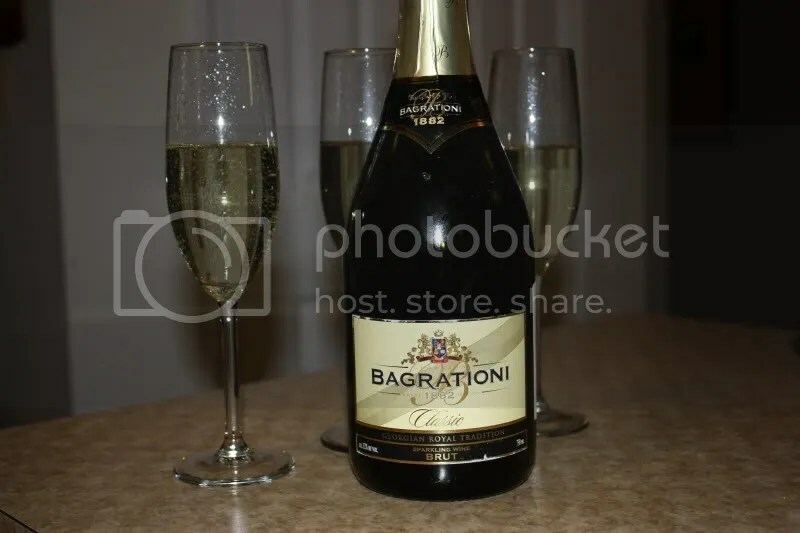 Tonight we went with the 1882 Bargrationi NV Brut. 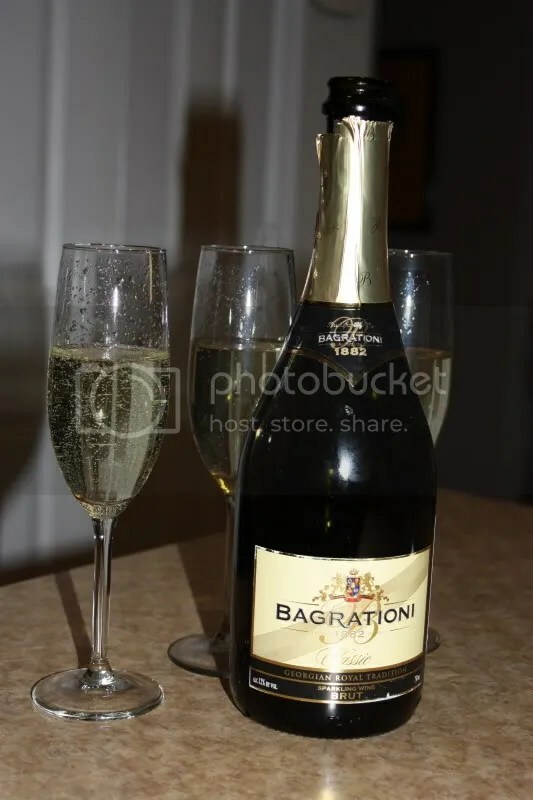 The wine hails from Georgia (the country), clocked in at 12% alcohol by volume, had a typical Champagne style cork closure, and retails for about $13. Perfect price for a mid-week sparkler. On the nose I found lemon, sweet flowers, and pear. In the mouth, more lemon and pear, green apple, and sourdough bread. It had nice tight bubbles with great acidity. I found it to be spritzy and refreshing and the perfect pick-me-up for an otherwise rather dull weeknight. Try something a little different yourself tonight…it doesn’t get much different than sparkling wine from Georgia! Great, trace of sourdough bread. I will be out looking for a bottle this afternoon, That sounds like something I would enjoy. Thanks for the article. I agree 110% that sparkling wine does not need to be saved for special occasions. In fact, that is the one wine that you can enjoy with your morning breakfast without turning heads. If a person worries about that sort of thing, they can always hide it in a little orange juice.